Sep 26. 2018 American Airlines will fly its latest Boeing 787-8 aircraft with Thales’s state-of-the-art AVANT inflight entertainment (IFE) solution. The 22 new Dreamliners will begin entry into service in 2020. These aircraft complement American Airlines wide-body fleet renewal plans and will become part of the 89 Boeing 787s which American Airlines plans to operate. Thales’ AVANT IFE system features a highly customizable passenger experience with a robust selection of features and applications. 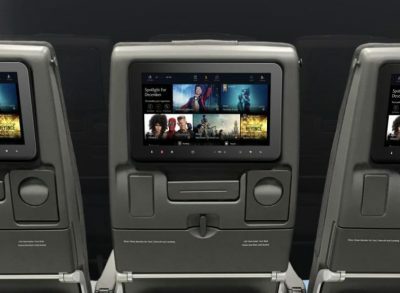 With its sleek and lightweight design, Thales’ high performing AVANT IFE solution will provide travelers an exceptional inflight experience with a vast choice of entertainment during their flight. The new high capacity server for the AVANT IFE solution has evolved to store an impressive catalog of thousands of HD movies, TV show episodes and music albums. 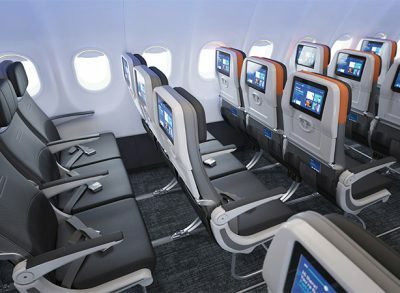 The Economy cabin will be equipped with 10” and 12” Fit High Definition (HD) screens providing a brilliant viewing experience. Business Class passengers will enjoy full HD 17” Flex screens, integrating Avii, touch passenger media unit, a handheld device offering an intuitive navigation and second screen experience. With the next generation AVANT IFE system, American Airlines guests will enjoy unmatched levels of inflight entertainment and comfort on the new aircraft. Thales and American Airlines began their partnership in 2011 when Thales was first selected to equip the B737 and A320 family of aircraft. This long standing relationship with the airline has supported the delivery of 213 single aisles with Thales’ inflight entertainment solutions. Operating the youngest fleet of the U.S. global network carriers, American Airlines has an average fleet age of just over 10 years. Together with its regional partner American Eagle, American Airlines operates an extensive international and domestic network with an average of nearly 6,700 flights per day to 350 destinations in more than 50 countries. As one of the leading airlines in the world, American Airlines has trusted Thales over the years to provide the highest level of inflight experience to their passengers.